I posted this recipe on instagram and facebook today but I thought I'd share it here too..easier to pin from my blog than IG. 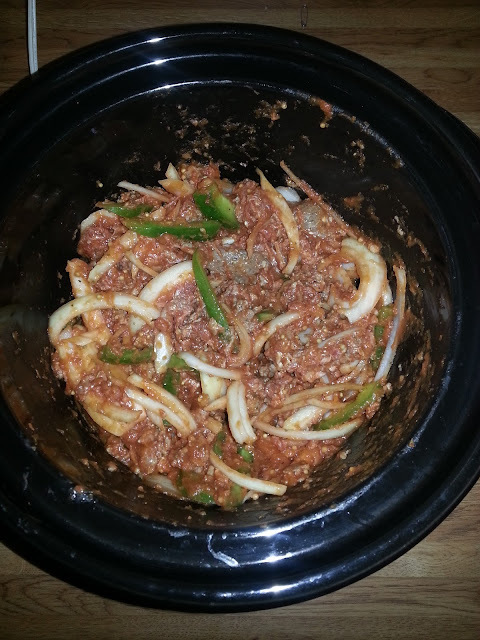 Throw it all in the crock-pot on low for 6-8 hours or on high for 4 hours. Then serve on bread with shredded mozzarella cheese!! Easy to make, delicious and messy! !